Bonnaroo began as a way to reinvigorate outdoor music festivals, its organizers said Wednesday at MTSU, and over the last 13 years has used its business model to embrace and expand on the same peaceful, inclusive culture of the events that inspired it. 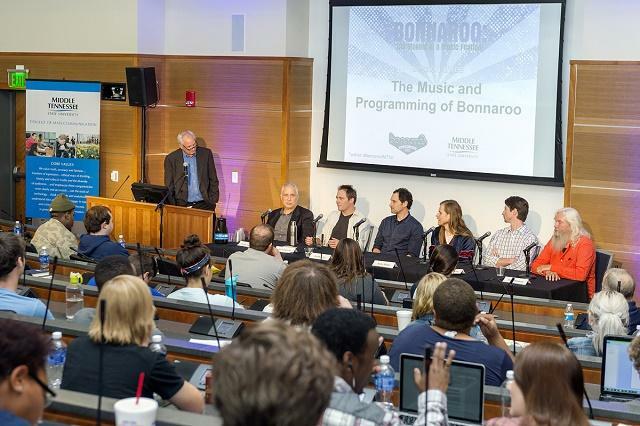 The daylong seminar sponsored by MTSU's College of Mass Communication, "Bonnaroo: The Making of a Music Festival," drew standing-room-only crowds in a parliamentary room normally used by the Student Government Association. "We're there and see the site transform from a farm into a city," said Russ Bennett, Bonnaroo's head of visual design, "and the culture, the impact and power of all those humans living together, with every kind of viewpoint, political view, musical taste, is still incredible to me." The festival launched in 2002 with little traditional advertising and sold out its 70,000 tickets in 11 days. Since then, organizers have continued to expand both its entertainment offerings and its 700-acre site to grow into an event that Rolling Stone magazine has called one of the "50 moments that changed the history of rock 'n' roll." 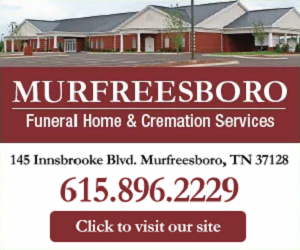 After explaining to the MTSU audience how planning each Bonnaroo is now a year-round effort and fitting the artists for each year's event into the site's multiple venues is "like a big puzzle," co-founder Mayers noted that we "started with a business plan, and ... a lot of adjustments have had to be made. "As each year goes by, we want to keep improving the experience, which means that we have to keep looking at the business model and the ticket price," he continued. "We don't make decisions within silos; we have to look at the whole complete picture." "We're building a city for the weekend," Capps added, "and it really has to have all the core ingredients that a city needs, from medical assistance to security to access to food and water, and that can get expensive for 80,000 people." That figure for ticketholders doesn't include the full event staff that ranges from 8,000 to 10,000 workers when Bonnaroo is at full steam. The daylong MTSU seminar discussed all aspects of the internationally acclaimed festival from its business model, planning, marketing and media to its community spirit, volunteerism, music and programming. "It's an extraordinary opportunity for a college of media and music to host a group of professionals so adept at both," said Ken Paulson, dean of MTSU's College of Mass Communication, who introduced several of the day's panels. "It's simply unprecedented for the full management team of a world-class music festival to take a full day to engage and educate the next generation of music and media professionals." The Oct. 8 public symposium also is part of that partnership, Paulson said. 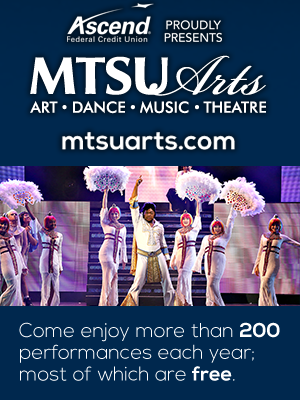 The event was streamed to classrooms on campus and was recorded to create a "video textbook" and possibly a video course for MTSU's music business curriculum. As for what's next for Bonnaroo, organizers were circumspect about the future. "We think about how it can be more than just those four days, and what's the spirit of it, and how our community can take that back to their everyday lives," Mayers said. "What started as 'Let's put on an amazing festival' has become 'How can this be a platform for inspiration and to improve everyone's day-to-day lives?'" 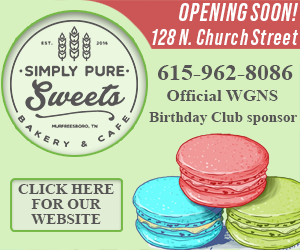 Capps added that organizers are "definitely exploring opportunities to expand the infrastructure on the site so we can accommodate other events. That's been in discussion for a number of years, and pretty soon we'll probably see another event or two emerge, but it depends on a lot of circumstances."